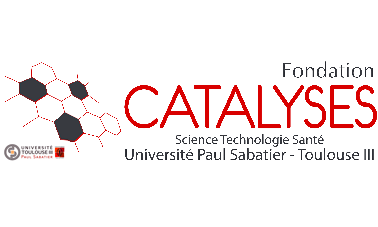 The core of our scientific project is to use synthetic biology approaches to create new cellulose-sourced materials. This project is definitively ambitious and likely to have broad implications in people's everyday lives. As such, human practices were the bedrock of our efforts (Figure 1). First, public and professional needs for such new materials were explored to refine our project. We also investigated their expectations and fears about biotechnologies and what functionalised cellulose could change for them (we also answered the same questions as did fellow iGEMers from Canada and Singapore!). Since we are not full-time scientists (yet! ), we needed help from synthetic and structural biologists, chemists and specialists in biotechnologies to choose the best approaches. With this key information, we defined an ethical matrix to identify the most challenging societal issues of our project. All these considerations were used to conceive and to position our project. We are truly convinced tomorrow's fabrics will be functionalised (for clothes and more). For us, iGEM is only a first step and we are therefore committed to a detailed entrepreneurship effort. We sought help from companies to ensure the relevance of our manufactured products on the market, and from business developers to go beyond science and processes and move our project towards becoming a start-up. Last but not least, we engaged deeply in educational efforts since it was clear from our Integrated Human Practices that only knowledge could help people to understand and accept our innovation. We used educational visits on local and national scales involving children, high-schoolers and the general public to explain what we do, how we do it and why we do it. The Cerberus project was designed to offer countless new possibilities for cellulose functionalisation and beyond, so that it should impact a lot of people in their everyday lives. Our first priority was therefore to meet these people and talk over their fears and expectations and orientate our project accordingly. We conducted interviews with manufacturers and created surveys for both professionals and end-users. We also compared our visions of biotechnologies with those of fellow iGEMers from different continents. A very important point was to talk with experts about what we intended to do. Cerberus is a blend of chemistry and synthetic biology so these discussions were absolutely necessary for the project design. Last but not least, we created an ethical matrix to define how our project could impact society and the environment. 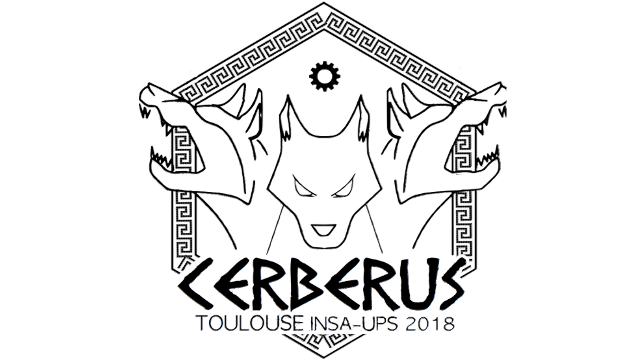 Clearly, the IHP was not a subtask of the Cerberus Project but the main reason of its success. We chose to conduct interviews in order to discuss their work, our project and biotechnologies freely. 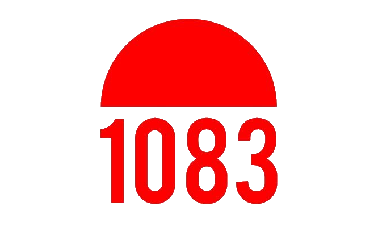 1083 is a trademark of the company Novetex. 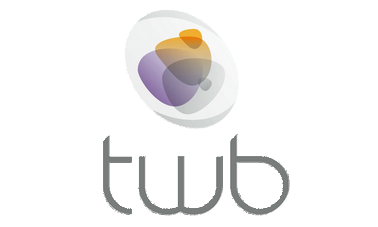 It was founded in 2007 by a computer manager who wanted to cange direction and focus on the sale of ecological clothing. The founder wanted to create his own business. He chose jeans because of the universality of this garment (beyond nationalities, religions, ages, etc). Jeans are also linked to French industry with the original Nîmes canvas. 1083 then diversified by offering sneakers, bermudas, skirts and shorts. The question of what was possible to do in France then arose. A first consideration was the economy. Many companies in the textile industry use a large number of subcontractors, which entails considerable additional costs. 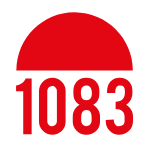 1083 minimizes the number of intermediaries (manufacturers, brand and reseller) by turning toward a traditional eco responsible economic model, and French manufacturing. Jeans are complex products that are produced in several stages: cotton harvesting, spinning, dyeing, weaving, design and finishing. Once manufactured, the jeans are sold and used, then discarded or recycled. Cotton growing is one of the few stages in the production of the product that 1083 is forced to do abroad. In fact, the French climate is not compatible with this type of culture. Cotton spinning makes it possible to obtain a ribbon which will be transformed into thread. The longer the fibers, the more resistant the wire will be. Traditionally, jeans are made using blue yarn, dyed with indigo (the natural color of cotton being white). The next stage, weaving, makes it possible to produce fabric from yarn. When weaving, the thread has to be taut. Engraving allows the raw canvas to stabilize. The fabric is wetted and then heated between two rolls. When wet, the plant fibers are compressed which makes the fabric shrink. Once dry and leaving the rollers, the fabric is then stretched to make it regain its initial size. Then comes the cutting of the fabric, the assembly of the different parts and mounting of the accessories. Value can be added back to the raw material itself by recycling. Jeans can be converted into Bermuda shorts or shorts for example. The fabric can also be used as insulation or as fuel. Although organic cotton reduces the environmental impact due to the absence of pesticides, it is very water-hungry, as is the fixing of indigo. Using bacterial cellulose could reduce this ecological impact. When spinning, uniform yarn quality has to be maintained, thus different arrivals of cottons are mixed and spun together. Bacterial cellulose has the advantage of being of constant quality because the entire production environment is perfectly controlled. The dyes used by 1083 create problems because the color of the jeans does not fade. However, this is a characteristic of jeans that is sought by consumers. The molecules used for our project risk, on the contrary, being fixed only to the superficial part of the thread and be very quickly unhooked during jeans use which would cause the desired colour loss. Textile produced by bacteria without cotton could be interesting as it remains clean and ecological. On the other hand, we must try to think about the recycling of the material. 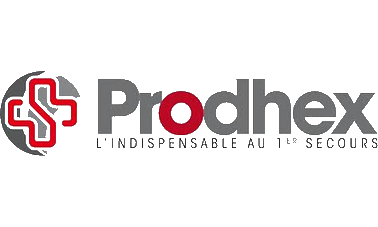 Prodhex is a company founded by René Jambon in 2002 as a first aid specialist. It offers emergency kits, bandages and many types of dressings. They supply mainly French firefighters but also the medical emergency services, the French Red Cross or pharmacists. We were able to get an interview with the current director Mr. Jambon who was able to present the operation of his company to us and give us his opinion on our project. Medical products are subject to a great deal of control when produced and sterilized. That's why the Prodhex Company takes special care in the production of its dressings, bandages and emergency products. The roll of fabric that will be in contact with the wound may be spun, non-woven, plastic or adhesive. Fabric rolls (60 to 80 m) are placed in an oven, then the glue is added onto the fabric. The rolls are then rolled up with adhesive and cut (5 to 10 cm depending on the dressings). Once cut, the dressing will be equipped with a central or complete compress. In the case of strips of 1m * 6m, the compress is continuous and cut every meter. Finally, sterilization is performed by using gamma rays. The most sensitive part is the precise placement of fabric for cutting but also gamma sterilization. After discussing our Cerberus protein and its fixation on dressings, Mr. Jambon told us that our product was part of the current industry. Our protein would cause less risk for the patient but also for the environment. Indeed the current fixing techniques are chemical and can be corrosive for example. The areas of healing and antibiotics are developing rapidly and need to attach directly to the dressing in a less harmful way for example. For this integrated human practice effort, it was important for us to have feedback from both professionals and customers that will use our product. Here, the complexity was that Cerberus offers a multiplicity of applications. We therefore decided to focus on one application and chose the medical field as we thought it would be the most sensitive application. More specifically, we questioned our population sample on how antibiotic-functionalised dressings could be of help in their daily life. 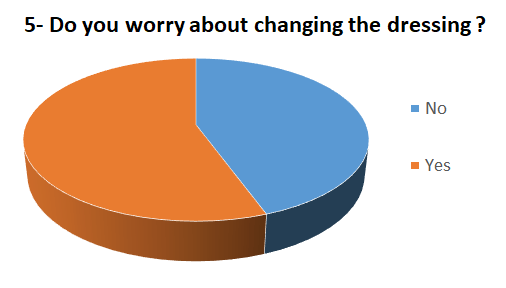 We also directed our survey towards both practicians and patients, since their point of view could be different. Our first questions were asked to get to know our 51 practicians. Despite the fact that most of them were still students (Graph 1), there were also nurses and lifeguards in our population samples. Hence, the majority of them already have more than a year of experience with patients (Graph 2) and they regularly use band-aids (Graph 3). Now, the most important questions were about our project. We explained to each of them what we were doing and why, then we asked two concise questions. The first one was about which benefit could be gained from antibiotic-functionalised cellulose in their dressings using Cerberus (Graph 4). They had to give a score from 1 (no benefit at all) to 10 (huge befits). Their evaluation was very positive for this application of Cerberus with 49 persons out of 51 thinking this will be an improvement. 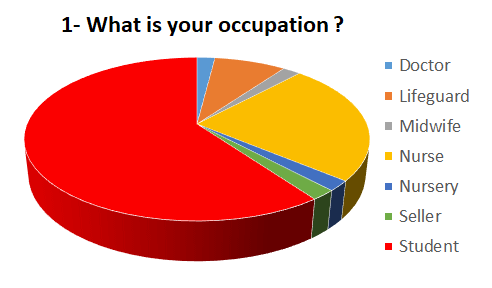 The second question was more global and about the interest of the Cerberus project for the society (Graph 5). Here again, the results clearly demonstrated a strong interest for the possibilities brought by Cerberus. First, it was more difficult to interview patient than we had expected. For most of them, this was felt to be an intrusion in their privacy and they did not agree to be observed and questioned during treatment. Our population sample is therefore small (9 people) and conclusions should be considered with reservations. 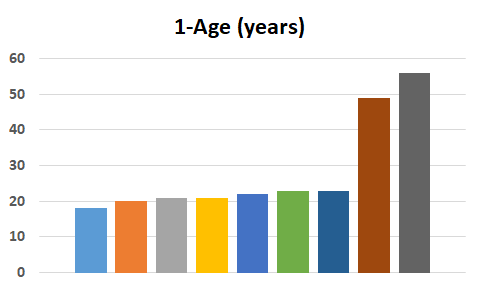 Another consequence is that our population was young (around 20 for most of them; Graph 1), likely because young people were most receptive to what we were investigating. In any case, this is another bias for this survey. We enquired about their needs for dressings and their feelings about them. 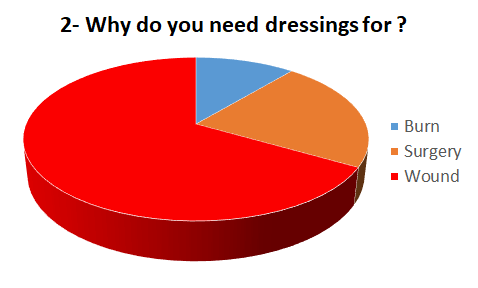 Most of them were suffering from a wound (Graph 2) and needed dressings for a week or two (Graph 3). 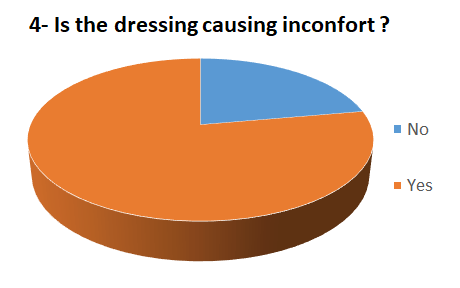 Interestingly, the dressing is often perceived as a source of discomfort (Graph 4) and about half of them were worried about changing it (Graph 5). Clearly, this means that new solutions reducing treatment duration or frequency will be a relief for the patients. We then explained our project and asked if they thought that Cerberus could help to improve the dressing treatment they needed. The results (Graph 6) clearly indicate that their appreciation of our product is positive. The last question was more general about how Cerberus and its many applications could be relevant for society. 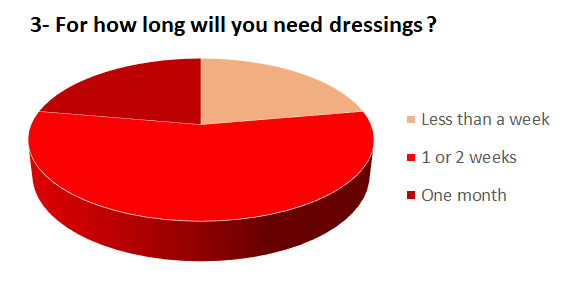 Again, the responses were still in a range from positive to very positive, however with less enthusiasm than for the first question, probably because in their situation, improving dressings was their top priority. There was also a very smart suggestion to create dressings with different localized properties depending on the position (for example, favoring epithelialization on the side and antifibrinogenic in the center). These surveys clearly showed that new functionalities for cellulose could have very desirable applications in the medical sector. There are real needs from both patients and practicians. We had very exciting feedback and very interesting suggestions to improve our project. Finally, the interest for Cerberus goes beyond medical applications and nearly all the people we asked believe in a wide importance of this project for society. The Cerberus project was very ambitious, even from the start. Somehow, it was not one project but several since we decided to tackle several problematics but with one universal solution. This universality came at a cost since grafting organic and inorganic molecules is a very different challenge. For organic ones, we had synthetic biology with us. But for inorganic one, the challenge was to gather biology and chemistry, the latter being, at the start of the project, a big unknown field for us. We therefore had to explain our project to international and national experts, get their feedbacks, and integrate it in our design. Here are some of the most important ones for us. Han Xiao is an Assistant Professor of Chemistry, and Biosciences at Rice University (Houston, TX). 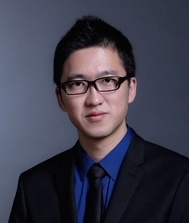 After graduating from USTC in 2010, Han joined the Ph.D. program at the Scripps Research Institute (TSRI). His thesis work with Prof. Peter G. Schultz focused on expanding the technique of genetically incorporating unnatural amino acids in both prokaryotic and eukaryotic organisms and applying this technique for better cancer therapeutics. In 2015, Han joined the laboratory of Prof. Carolyn R. Bertozzi as a Good Ventures Postdoctoral Fellow of the Life Science Research Foundation at the Stanford University. In his postdoctoral work, he focused in the development of novel cancer immunotherapy targeting the cell-surface glycans axis of immune modulation. Delving into the world of unnatural amino acids was a first for our iGEM team, so naturally we had a lot of questions about how to proceed. Han Xiao gracefully answered these questions and provided us with insight into the various problems we could face during our project. With his help, we were able to best determine the critical elements of our experiments. We identified the steps which would require the most care and precision, as well as which transformation strategies to pursue. Professor Lang conducts research in the interdisciplinary area of chemical biology, applying concepts from organic chemistry to develop new tools to study fundamental biological questions. Her research focuses on the targeted chemical synthesis of new artificial biomolecules (amino acids, proteins, nucleotides, oligonucleotides) tailored to investigate and manipulate complex cellular processes in in vitro and in vivo biological systems. During the European meet-up hosted by the iGEM Munich team, she presented her works on UnAAs and their use in enzymology. We then had the opportunity to meet Pr. Lang and to receive her advice concerning our project, after showing her our poster. This was a great boosting event for us. We liked her comment: “There’s no reason for it not to work”! Her comments on our general design also helped us progress further in our project. 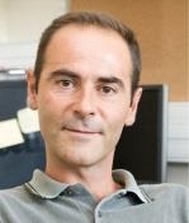 Philippe Serp is a researcher at the “Laboratoire de Chimie de Coordination” and professor at ENSIACET (National School of Engineering in Chemical and Technological Arts). We met Mr. Serp to get advice on an idea we had about using graphene to functionalise cellulose. Thanks to his advice, we have been able to modify our project to optimize our chances of success. Initially starting with the use of oxidized graphene in our project, we have, as he suggested, changed to non-oxidized graphene. He also helped us to optimize our functionalisation protocols with the assistance of Jerome Volkman, an organic chemist. They were kind enough to allow us to experiment in their laboratory to functionalise graphene and carbon nanotubes (CNTs). Indeed, we succeeded in adding an alkyne function to graphene and CNTs thanks to their help. It is just a pity we did not have enough time to test graphene and CNTs on cellulose and we deeply apologize to Philippe and his team for that. Given the central role of the Cerberus platform in our project, building of a three-dimensional structural model of this macromolecular ensemble was crucial. Due to the absence of experimental data, the modeling of some parts was challenging. Thus, parameters were built for AzF and 3D structure prediction and conformational sampling methods were used for the junctions between CBM3a and the other heads (linkers). It must be noticed that linkers are known in the literature to be highly flexible and disordered, meaning that these regions must be correctly sampled. 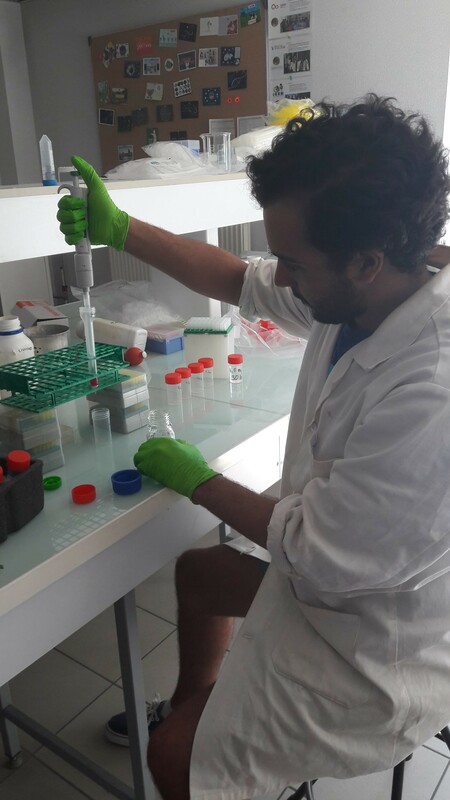 Because these tasks required specific knowledges, we had the assistance of Jeremy Esque (INRA Research Engineer at the Toulouse LISBP) as a specialist in structural bioinformatics. His skills in protein 3D structure prediction techniques and conformational sampling and exploration methods have been an invaluable asset to our project. 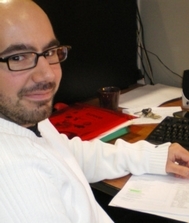 Juan Cortés is a researcher at the Laboratory for Analysis and Architecture of Systems. His research interests are focused on the development of novel computational methods based on robot motion planning algorithms and mechanisms theory for treating problems in structural biology. 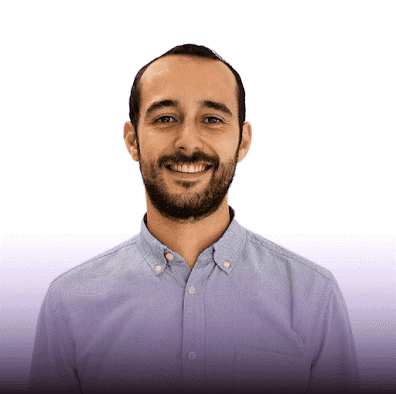 Juan’s area expertise in robotics-inspired methods for molecular conformational sampling and exploration has been an undeniable asset to our project. More specifically, he has recently developed innovative robotics-inspired approaches to build atomistic models of disordered regions. In our project, these approaches have been highly useful to carry out a large conformational exploration of linker regions (the junctions between the heads) within our Cerberus molecular platform and generate realistic ensemble 3D models. Our first idea was to produce functionalised cellulose in vivo. So we aimed to produce Cerberus and its associated function with the yeast Pichia pastoris in a bioreactor. We had a long discussion about this with Christine Lafforgue. She is a specialist in fermentation process and her insight was invaluable to our project since it avoided us a lot of difficulties. Indeed, it came out from our discussion that cellulose production in a bioreactor was very risky and required tangential flow filtration to maintain a productive system. We therefore reshaped our project and put most of our strength in a E. coli driven production with subsequent purification. In vivo production is still a possibility for Cerberus, but it was no more a priority and the results proved it right. 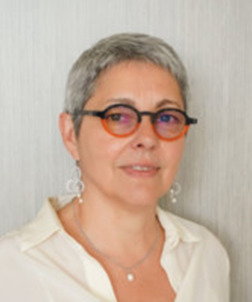 Françoise Ouarne is the director of the CRITT Bio-industries, a company that enables its customers to develop production processes of simple or complex molecules from diverse raw materials. We went to see her for advice on establishing the selling price of our Cerberus. She told us that the better way to establish a price is to analyze the market in order to determine what is done and the price of what is already available on the cellulose market. She thought that if we wanted to sell our protein, we must sell it to the high added value industry. It’s in this perspective that she recommended us to test our system with different cellulose types. We also asked for advice regarding the co-culture with Pichia pastoris and Gluconacetobacter hansenii. She highlighted the problem of tracking the cell numbers of each species and that we will probably have to often re-inoculate the medium with one of the species. 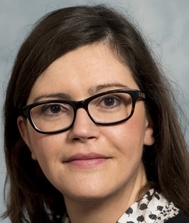 Aurélie Cayla is a assistant professor at the ENSAIT (Roubaix), her researches focus on the functionalization of different textile materials. Therefore, we contacted her to have an expert advice in textile techniques, especially industrials techniques to functionalized cellulose fabrics. Because our protein has a high affinity for cellulose we do not need to add a binder in the solution. A simple bath named full bath method would be used. Moreover, industrials method exists to spin by wet way in to filament the bacterial cellulose, and after this filament yarns can be weave or knit. In perspectives for Cerberus – Service, we can imagine providing to the client the fiber functionalized. 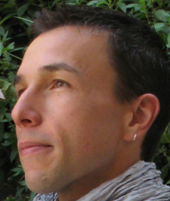 Guillaume Boissonat is the co-founder of Pili.Bio. It’s a startup which used biotechnology, to conjugate the performance of the chemical industry with the renewability of biology to cope with the challenges of a clean color production. He shared with us his own entrepreneurship experience, his background and his approach to create this startup. He also gave us advice on the type of offer we could develop in our entrepreneurial approach. 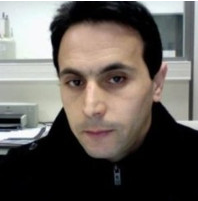 Akli Ben Imeddourene is a postdoc in Molecular Modeling, working at the Toulouse LISBP. His skills in molecular dynamics simulations of (macro)molecular systems have been highly useful in our project. Indeed, to assess the stability of the 3D structure model of our binding platform, Cerberus, we performed large-scale molecular dynamics simulations. The different preparation steps of the system to perform molecular dynamics simulations and the analysis of resulting trajectories required specific knowledges. Akli's help has been very supportive in conducting these studies. Thanks to our network, we managed to collaborate with an American and an Asian team. We first thought about designing and performing experiments as collaborations often tends to be in iGEM. We found out that this would not help our projects that much and we then came up with the idea of sharing our point of views about bioethics. We wondered if the geographical and cultural differences between us could lead to different points of view concerning bioethics. It was really a chance to be able to exchange with these two teams. We met several times via Skype and finally decided to write a short review on ethical considerations about synthetic biology. The following document presents the results of these work sessions. We truly hope that this kind of reflection will inspire other iGEMers to take a moment in their summer lab work and think about the outcomes of their designs. Here, you will have access to a schedule week by week of our HP tasks so that you can follow the progression of our efforts during our project. February 1st, 2018: A new beggining! The team reflects on possible subjects: out of about one hundred ideas, we chose twenty of them. The selection was made according to many parameters such as the existing scientific publications on the subject, which ones have already been done in iGEM or what was feasible in synthetic biology and the given time we had. We also organized our research around an ethical reflection on the realization of our project. For example, we thought of fruits that can synthesize anti-fungal proteins. These would have allowed the fruits to remain of very good quality over a long period. However, we did not want to release GMOs into the environment so we abandoned this project. February 21st, 2018: Let’s play! Hoping to develop educational games, we wanted to set up a fun way to do popular science. We thought about organizing an Escape Game and attended a conference organized by Le Catalyseur on the creation and implementation of this type of games. We were able to talk with an escape game creator, Elise DESPLAS who is a project creator at Délire d'encre (escape GAME Itinerant). 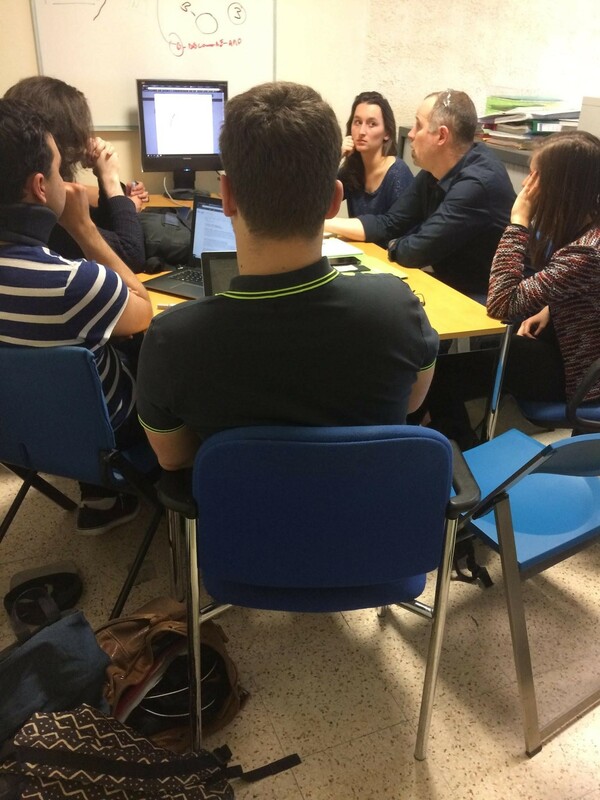 During this meeting, we met two scientifics professors interested in our project, Cathy Metge and Aurélien Despierris, who are working in Sciences and Technologies for Laboratory high schools . We decided to collaborate with them. March 1st, 2018: Fight for your topic! In order to deepen the subjects still in list, we organized ourselves in groups of two to defend as much as possible our ideas. We started thinking about gathering topics. Very inspired by the game Microbioworld developed last year, we wanted to improve it by making some changes based on players feedbacks but we also tried to develop it as an educational tool at the national scale. 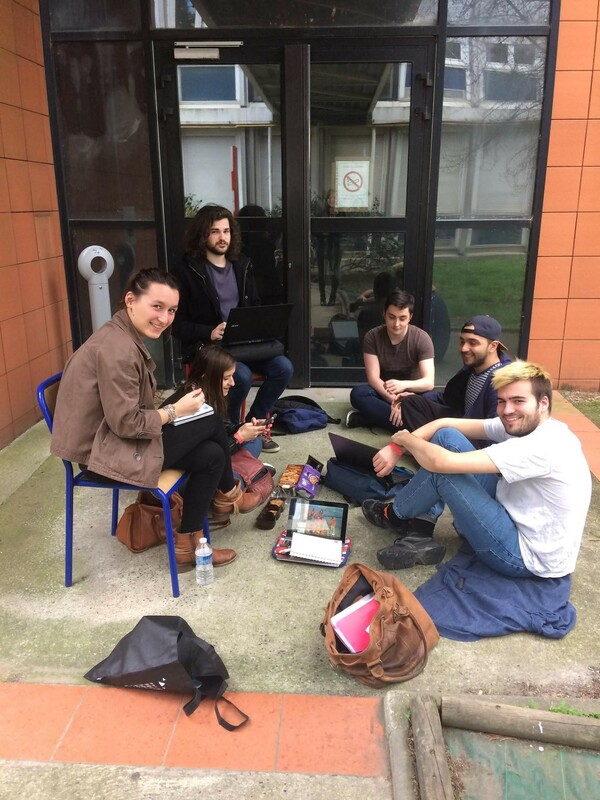 After taking into account the opinions of experts met during the convention held by Le Catalyseur, we decided that the escape game was too long, expensive and difficult to transpose to the Giant Jamboree for a team of 8 students. We prefered to focus on a Microbioworld update as well as on a collaboration with STL high schools. These projects enabled us to reach a larger number of people and to disseminate knowledge and information on synthetic biology throughout France. In parallel, 8 subjects were still in the race! We asked the opinion of many experts to refine our ideas and determine if our subjects were feasible or not. For example, we asked for the assistance of Pili, a company working on dyes for a subject about natural, non-polluting dyes. We decided to participate to the Grimoire event, a board game student lounge, to get feedback on the current version of Microbioworld. As expected, the game had to be revised on some points such as the names of some cards that were too complicated for non-biologists. Moreover, by playing many games, we realized that some cards were too strong. We decided to re-balance the game. 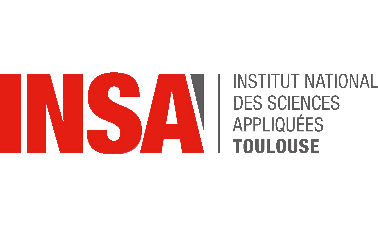 On the financial side, we contacted our usual partners such as the Université Paul Sabatier, the INSA Foundation, the LISBP or Toulouse White Biotechnology. March 22nd, 2018: Because we care about our planet! We closed up to the determination of our subject by considering ethical and responsible aspects. Indeed, we wanted a subject without risk of GMO spreading in the environment and without risk for living beings. We wished to have an eco-responsible approach that concerns the whole world. We also wanted it to remain accessible to all and to help the greatest number, whether or not they were initiated to biology. Choice of our subject! At the end of our reflection, we had only topics dealing about cellulose-containing materials to which we would like to add new properties. This was how we decided to built a new strategy with an optimized linker to functionalise cellulose. This subject corresponds perfectly to our ethical approach! Indeed, this project is not harmful for the environment nor for living beings. It is eco-responsible because it can help avoiding toxic fixation techniques. Moreover the possibilities of this project are infinite and can thus reach the greatest number! We contacted Christine Lafforgue for information about the production of bacterial cellulose. We wanted to continuous co-culture microorganisms using a filter system. Unfortunately, this technique may result in clogging of the membranes. She rather advised us to perform a filtration system in tangential flow. With her knowledge, we hoped to optimize our production. We defined the microorganisms we will use. We first chose E. coli because it is the most used chassis in the field of synthetic biology, with many publications available to guide us in the handling. Since we had in our group of supervisors a specialist in Pichia pastoris, we also decided to use this yeast as a vector. We thought that two different chassis would increase our chances to succeed and they offered different advantages too, depending on the experiment to conduct. We also chose the linker protein domains. We picked CBM3a because of its specificity and affinity for cellulose. To link our molecules of interest, we wanted two different hooks to optimize the system versatility. We chose streptavidin for the conjugation of biotinylated biomolecules and an unnatural amino acid, 4-azido-L-phenylalanine (AzF) to add inorganic molecules by click chemistry. The determination of the three heads of our linker lead us to find a name for the project, Cerberus, in reference to the three-headed dog of the Greek mythology. We also started to think about a logo for our project. We conducted researches about unnatural amino acids. Only one publication by Peter Schultz mentioned such a system for P. pastoris.  We started a collaboration with the laboratory of Peter Schultz. The wiki is open, our computerist attacks it immediately! Social networks and communication between teams are important aspects of iGEM. Hence, we decided to create a platform for exchange and dissemination using Instagram. We thought that photos would make it easier to get into the everyday life of different teams, so we invited each team to post a picture a day for a week on an account we called: igem.teams.worldwide! We went to ENSIACET to meet Philippe Serp and his team, they invited us to come and activate the graphene we needed for our project in their laboratory with their expertise. We scheduled this meeting for July. 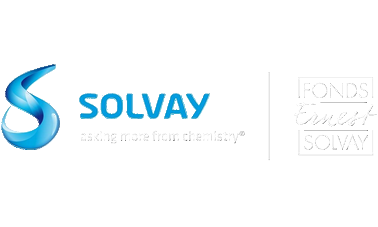 The first drafts of our logo began to arrive, we voted to define the color. After thinking about it, our computer experts persuaded us to leave it in black and white so it won't interfere with the design of the wiki that we wanted to be very simple. We received cellulose-producing strains from the Imperial iGEM team 2014 (Gluconacetobacter hansenii and Komagataeibacter rhaeticus). 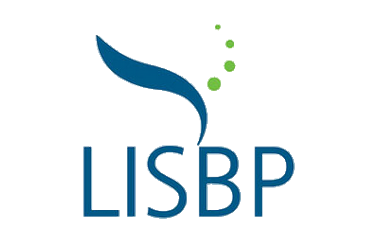 We kept in touch with Christelle Labruyère, the communication officer of LISBP, who gave us many advice in this field. We organized with the LISBP a participation to a european scientific event (ESOF) which took place from the 9th to the 14th of July. We were also brainstorming about the ethical aspects of our subject. 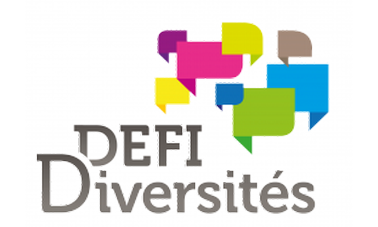 We planned a demonstration at the primary school Belbèze Toulouse with a class of 9-10 years pupils. We started a training session to learn the basis of molecular biology and decided of a timetable to manage the progressions of our subject. The first cultures of G. hansenii and K. rhaeticus were performed in tubes and boxes. We had to solve some format problem for the wiki. For the modelling, we had to seek the expert advice of Sophie Barbe that eventually joined our supervisor team. Calculations started too and we faced the problem of the stability of our linker. June 21st, 2018: The wetlab begins! The training session was over. We began the experiments. For the modelling part, the connections between CBM3a and the two other heads were complicated to analyse. We managed to model the CBM3a and streptavidin parts but the unnatural amino acid AzF was trickier to model. To solve this problem we replaced it with a phenylalanine which enabled us to have a good starting point for our reflection about the structure of Cerberus. We also worked on the definition of our wiki graphical aspects. 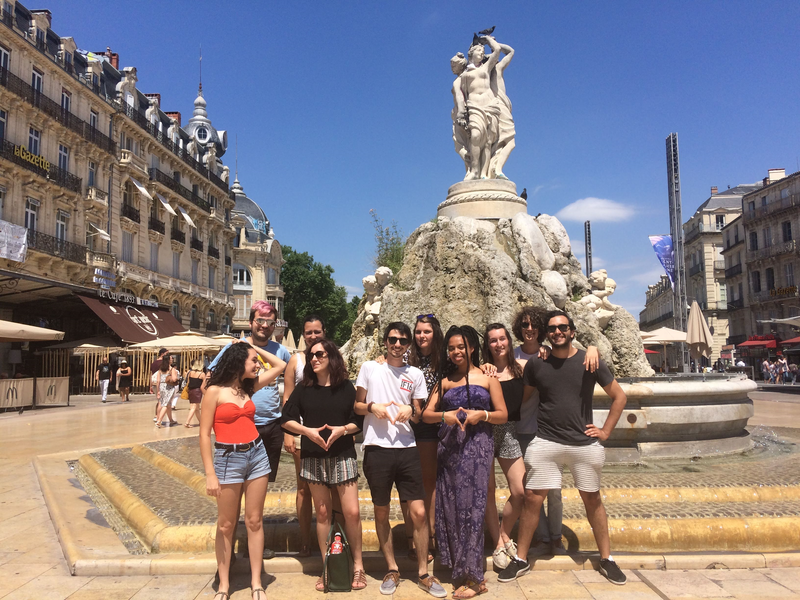 We met the iGEM team from Montpellier during a weekend of collaboration and visits! This was their first participation to iGEM and we were glad to share our experience of the competition. At first we made an assessment of the functioning of our two teams to optimize it. We then decided to apply for joint funding from the Occitan region. We began a collegial and ethical brainstorming about their system. We encounter problems of electroporation with Pichia pastoris. After a think tank with the team, we find out that we have some issues with our concentration of antibiotic. 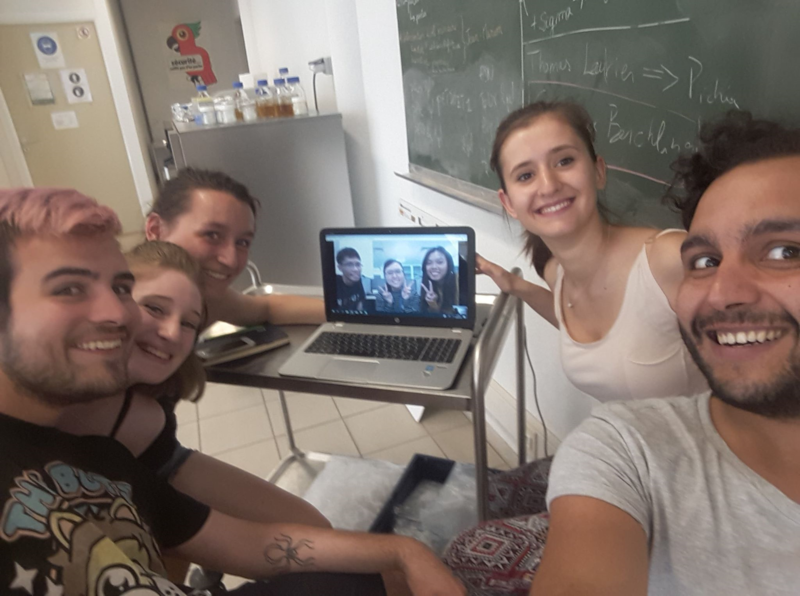 We organized a Skype meeting with the iGEM team of the National University of Singapore and considered a collaboration with this team. We met Guillaume Boissonat, co-founder of the society Pili. An entrepreneurial brainstorming started, thanks to relevant advice about the creation of a company and the approach to be carried out. A fundamental question then arose: do we sell a service, a technology or a product? July 5th, 2018: Cellulose time! We were excited to register for the Munich meetup. This was a great opportunity to create a first poster about our project! We managed to produce dry freshly produced cellulose with G. hansenii and we optimized the production conditions so that we could now send it to other teams that needs some! During this weekend, we participated to the Paris meetup! We used the meetup to develop our oral skills and the presentation of our project. On the program: meetings with the other French teams, sharing our first experiences and many laughs! For the Entrepreneurship side, our business plan began to take shape. We thought that the product design had to meet the wanted need. We also wanted to see if customers were interested, for that we thought about pricing aspects. We were still in needs of advice so we contacted companies such as CRITT and GTP biotech. Second meetup for our team! This time, Callum and Gaëlle went to Munich to present our project to many European teams. Through our poster, we exchanged with the other teams on our respective experimental adventures ... We also talked with them about the ethical aspects of our iGEM projects such as the ecological impact. 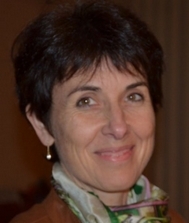 On the entrepreneurial side, we met Françoise Ouarné, director of CRITT-Bio-Industries in Toulouse. Her wise advice allowed us to define our offer: our linker protein that we simply named Cerberus. We also discussed the problems of co-cultivation. She graciously supplied us with plant cellulose from CIMV. We took contact with a nurse. We wanted to observe her daily actions and the impact they have on patients, particularly in regard to bandages. Our project can indeed have applications to dressings. Unfortunately, we realized that patients did not want to be observed during their care. We decided to create a survey that we gave to the care staff and to the patients. For the modelling part, we tried to include AzF in our structural model. We met Yohann Bouvier, in charge of the Starter of Toulouse (a start-up pre-incubator which is part of the association “La Mêlée”. He gave us advice in Entrepreneurship, and provided us with professional files to guide us in the entrepreneurial process. We met the Canadian iGEM team from Laval through Skype. We discussed about the main difficulties that our teams met and shared our experiences of the competition. 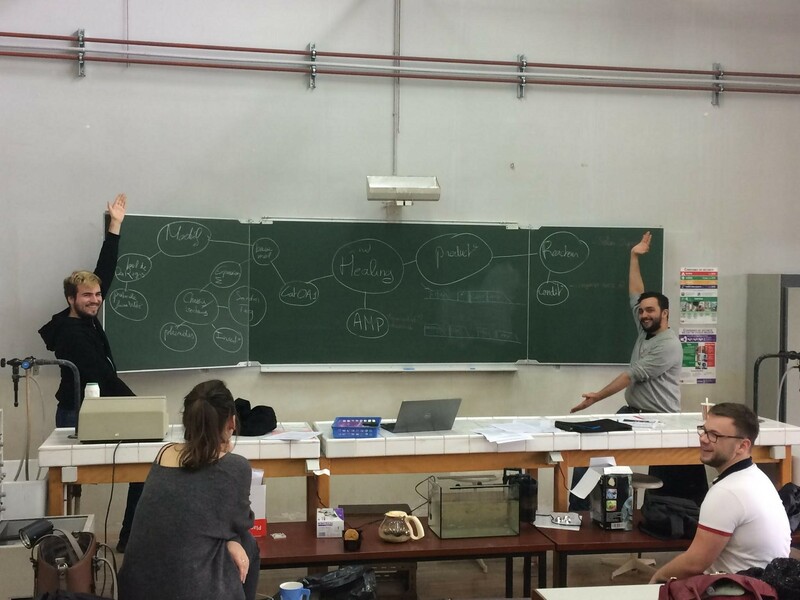 To reach a broad range of people with our projects, we had the idea of ​​a collaboration on the human practice level. Thus, we decided to pass on our survey to this team. We also wanted to pool our ethical thinking. We started continuous cellulose culture to maximize production. We were now done with the cloning part of our project and we successfully demonstrated the specificity of our CBM3a to cellulose thanks to our Sirius protein. We met jeans producer (the 1083 jeans company and Saint-Hilaire tissus) to share their experiences of fabric manufacturing and get their advice on our project. We initiated a crowdfunding fundraising on the Ulule Platform. At the experimental level, we started the production of our Cerberus linker. 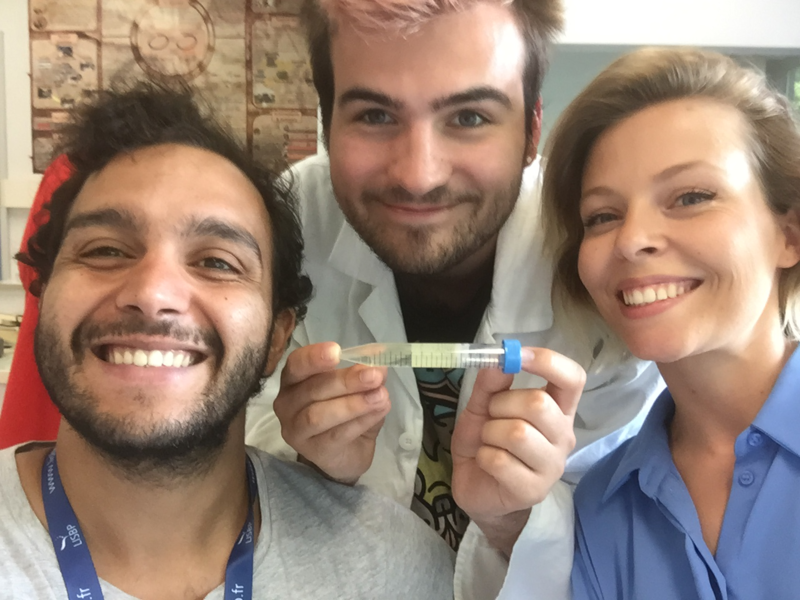 August 23rd, 2018: Presenting iGEM at the University? 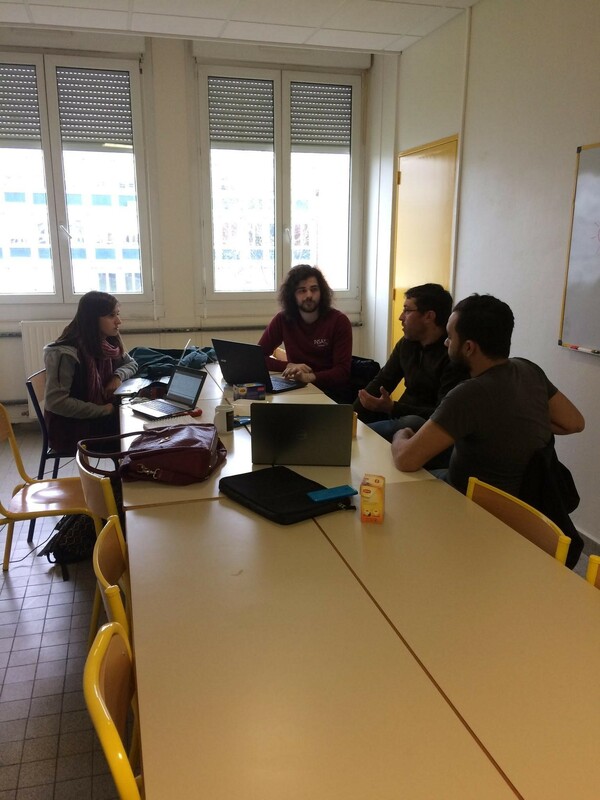 We started to think about the organisation of a conference at the university Paul Sabatier to present iGEM and this year project. Purification of the linkers were in progress. 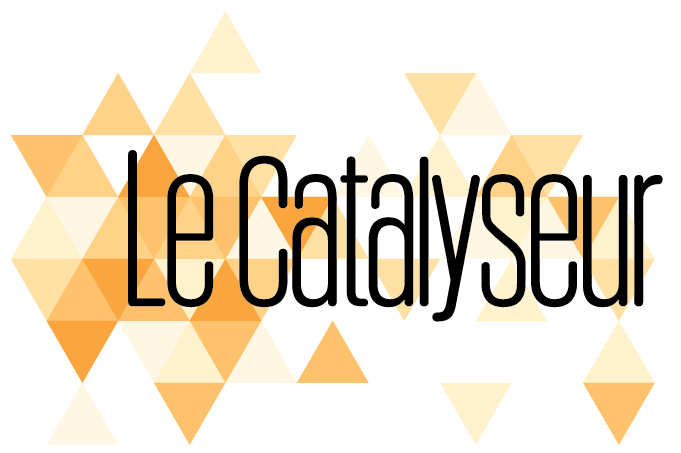 First meeting with Le Catalyseur which is a pre-incubator helping students in the field of entrepreneurship. A very interesting discussion took place between Nicolas Delcey, Eric Marchadié and Pierre-Emmanuel Hladik. To adapt our final product to the market, we thought it would be easier to have our Cerberus produced by subcontractors that we would advise. So we started looking for protein-producing companies to deepen our entrepreneurial approach. We did half a day of entrepreneurial coaching with Nicolas Delcey. Thus, we made an inventory of the project developments and we worked on the identification of the risk factors (probability and their potential impact on our project). This allowed us to proudly identify all the tasks and efforts made since the beginning of the project. Sub-cloning in the pSB1C3 started in order to provide our biobrick to the iGEM registry. 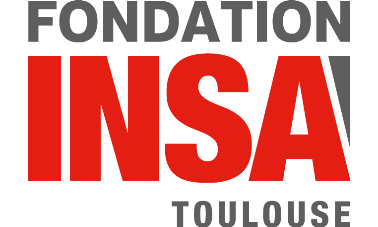 The Ulule crowdfunding is the success with more than 2,400€ raised. The new year scholar year started for those of us at the university so the experimental work was slowing down. Purification of the linker was on the way. It was now wiki/presentation/poster time. Septembre 12th, 2018: Cerberus is purified! Cerberus has been successfully purified with all the right controls! This is now testing time (fingers crossed). Septembre 26th, 2018: It works! Oh yes! It works! Paramagnetism is incredible, and look at this fluorescent cellulose! The Giant Jamboree was closer and closer, so we had to get ready. We chose our goodies, and carried on the work on the poster and the powerpoint. We also chose our orators for the presentation. Wiki Freeze was so close and we had to be prepared. All the lab work was finished and now we had to complete the wiki. A lot of things had to be written but we managed to do it by changing the responsibilities of everyone. 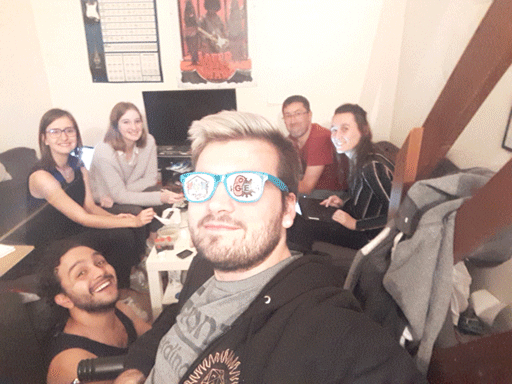 We spent the week-end from friday to sunday together to finish writing all the pages and coding the wiki before the freeze. Oh, and we also had to spend tuesday evening too. Everything is now hopefully ready. Let the Jamboree begin! Fairness: the technology should be accessible to all and evenly distributed. The issued matrix is dynamic and change all along the project evolutions. We decided to develop a generic matrix, in opposition to a matrix dedicated to a single application. Here, you can find the lastest version we did before the end of the iGEM 2018 competition (Table 1). We used a color code to highlight the positive aspects (in green) and the points that require careful attention (in red). Mepham B., “A framework for the ethical analysis of novel foods: the ethical matrix”, Journal of agricultural and environmental ethics 12(2), 2000, p. 165-176. Consequences of high scale production? Accessibility to the technology ? We will only develop the analysis for the green and red points, as they are the most important ones. This is the producer of goods with the Cerberus technology. The same concern about toxicity than for the end-users could be addressed for the manufacturer. Beside the end-user benefits, manufacturer could find interest of their own in using Cerberus, for example, to replace dangerous chemicals in their processes. It will be important that Cerberus brought them some competitiveness regarding the price of their products which means that the cost of this new technology should be competitive regarding the one it replaces. Alternatively, the use of state-of-the-art approaches and/or innovation issued from Cerberus could be an asset for the manufacturer that could accept higher cost to label its products “issued from biotechnology”. This is us! For sure, developing our business will be a terrific opportunity with lot to learn in term of management and hopefully, with nice incomes. In term of autonomy, we will clearly be dependant on our clients (the manufacturers) and our sub-contracters (see the Entrepreneurship part). Ecological consequences are maybe the most difficult to predict. Our Cerberus platform is a protein , which should not be problematic, but for the unnatural amino acid AzF. Here, the molecule is of too recent a use to know what to expect. The same questioning occurs for the functions associated with Cerberus, especially the inorganic ones. We can suppose that if there should be a problem, they will be related to the scale of use/production of Cerberus. As a rupture technology, there could also be the impact of removing the previous technology. Less pollutant or less toxic approaches could be beneficial to the environment. Sustainability is a much though-for feature. Ideally, Cerberus should be recollected from used goods to be reincorporated in new one. This could prove to be complex (or easy), depending on the strength of association and accessibility in the fabrics. Besides, this could require complex steps incompatible with the recycling interest. If we think of Cerberus as a technology to create new materials, its usefulness goes beyond functionalised cellulose. Therefore, Cerberus can also be of interest in the scientific field to develop new applications. This incidentally raises the question of accessibility. If Cerberus is accessible to all (as any biobrick from the iGEM registry), some of its application could be protected by patents, especially if this is the heart of our business. This could create conflicts and will require professional lawyer to define the boundaries of what is public or not. Another aspect is that such effort as Cerberus could democratize the use of biotechnology-sourced products with the general public and facilitate the acceptation of other products. Cerberus could be of interest for the media and so participate to biotechnology acceptation. This could make people curious or eager about what future biotechnology could bring them. In the downside, sterile polemics could be issued from such display. We found the ethical matrix very useful to highlight the pros and cons of our project. It clearly showed that using the Cerberus technology have to be a progress for both the end-users, the manufacturer and the environment. Safety will be a definitive go/no go. Assessment of non-toxicity and environmental friendliness will be top priorities before Cerberus hit the market. In the scope of the Cerberus Project, we created surveys and interviews to know what people think about biotechnologies and synthetic biology, and their perception about using products issued from such fields. However, we very soon found out that each iGEMer from our team had a different perception of biotechnologies and beyond of iGEM and their expectations from the competition after these months of working on the project. Here you can find these individual thoughts and their synthesis. Why did you take part to iGEM? Many reasons led us to the extraordinary adventure that is iGEM. Firstly, we were all interested in biology and more precisely in synthetic biologies that we chose to study at the University or the INSA school. iGEM was for us an opportunity to make a step in our future and develop our first team project as we hope to do later as researchers. What an adventure to make! Some of us were also implicated because of the extreme diversity of the project and its openness on the world. What was your responsability during this project? We separated our project in different part such as business, human practices, or modelling. Each member of our team was accountable for one aspect of Cerberus. You can find in the individual files what each of us have done and what we prefer in our “task”. We all learned a lot about building a scientific project from scratch to its valorization. We started this project as student, some of us had never even done an internship. It allowed us to encompass the full aspects of how to create a little business. Moreover, being a part of a team during nearly one year was not easy everyday, so we had to learn how to work together, how to support each other when stuff gets hectic. 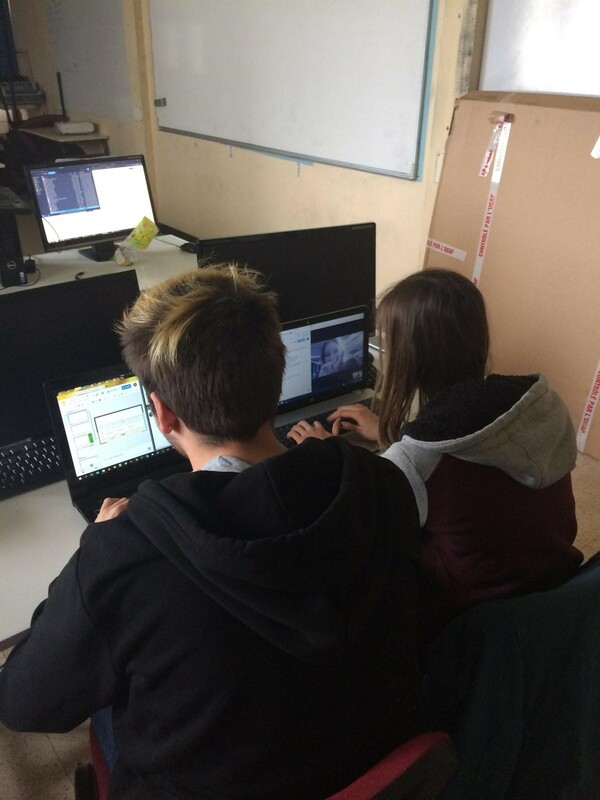 With iGEM, we also discovered domains that we never thought about like finances, collaborations with teams from all over the world, communication with the public or even teaching in schools. To what extends have this experience changed the way you conceive your future job? The answers here are very different between us. Some confirmed their initial goal but for some other new careers have been considered, even if always in relation with biology. So this project truly helped us to define our career. What comes to your mind when you are told about biotechnologies? We are not actually neutral for this question since we all want to work in the biotechnological field in the future. We are all amazed with the possibilities that synthetic biology opens to our world. From within the iGEM project, we realized that a fence exists between the lab and society. In France, there is a paradoxical mix between excitation and fear when it comes to sciences, mainly due to the fact that people do not know enough, especially about synthetic biology. During this year, we have done our best to change this by participating to events and school interventions (and many other activities as described in this human practices section). We all hope that it contributed to change the point of view of people about biotechnologies. We hope that our individual thoughts helped you to know a little more about our team and how we perceive biotechnologies. iGEM has actually impacted our life, and the way we feel our position in the society. Do not hesitate to share your own feelings with us on Facebook, Twitter or Instagram! Why did you take part in iGEM? The iGEM competition is a real adventure, at both scientific and human levels. I choose to take part to iGEM to have the opportunity to create a scientific project, to choose the subject I like, and carry it out during 8 months. I was in charge of the entrepreneurship part that consisted in conceiving the start up that could born from Cerberus. I was also present in the lab to do all the experiments needed. I learned to be autonomous in the lab, and to plan experiments. I learned so many things, I could not summarize them. Most importantly, I learnt how communication is important in a group of people who did not work the same way. I really loved to work in a team, and carry out a project from the very beginning to the end. I wanted to be a R&D engineer and the iGEM experience convinced me on this way. Also, meeting start-up creators convinced me to work in a small business. For me, it regroups all kind of sciences that uses biology as a tool to create innovation. It encompasses all bioprocess, biosynthetic and many more fields … Unfortunately, biosynthetic approaches have a bad reputation and scarred people, especially when you explain you are working with GMOs. Because of the lack of knowledge on this science, when you talk about cloning, many people think you will clone blue rabbit or something crazy like this. There is a lot of work to do to inform people on what really is the biosynthetic science. The iGEM competition is at the same time a scientific experience and a human experience. It permits to apply our knowledges and also to learn intensely new methods. It is also a good way to discover others skills apart from Sciences. One of the most part was to manage finances (search of financing, place orders, negotiate prices), but also to do laboratory work. The iGEM was one of the most complicated experience of my life. In fact, the scientific side was very interesting and enriching. But I had more difficulties with working in group because we are all different. This obstacle permitted me to know more about myself and to take on me to resolve conflicts. Before iGEM, I knew that project management interested me. And this experience confirmed it and I am going to do another year of studies to specialize in this way. Even if Sciences still interest me, I do not think I will pursue in scientific research. Biotechnologies nowadays are widespread and the fields of application keep on expanding and are varius. Unfortunately, people know little about it and what is going on in the scientific area, which is regrettable and a problem because that makes them more unwilling to new technologies. I joined the iGEM team to discover more about synthetic biology. I really knew nothing about the field before participating! I also think that it’s an amazing opportunity to develop my inter-disciplinary training. I was in charge of developing the wiki, which is the website on which all our final data are stored and presented. It regroups details from all the different sections of the project, so clarity and consistency are key to its success. I learned a lot about web design, and in particular about how to adapt a website so that it is accessible to everybody and across all platforms. I also participated in the modelling part of the project, where I discovered how to launch software on supercomputer clusters. Both my parents are researchers, and I have already done internships as research assistant, so I don’t think that my vision of the job or my path were changed much. I did however discover a lot more about the fields in which I could apply my training! Personally, I think that the possibilities that biotechnologies allow nowadays are simply awesome. We can do so many things with bacteria already, so imagine what we could achieve in the future on plants and animals! Of course, all work carried out should be surveilled so as to avoid any major disasters! I decided to join the team after realizing that a multi-disciplinary project could be what I just needed to help me decide what I want to do after my studies. I was in charge of the communication and organization, as well as of the collaborations. I am the one making sure our team is well visible on social medias or in the newspapers. I have also planned our upcoming trip to Boston. I learned a lot in many different fields and most important, I learned how to use what I already knew to build this project. Working with so many people with different strengths and weaknesses was also very interesting and helpful. Working on this iGEM project really helped me to be aware that carrying a project from the beginning to (almost) the end is really something I’ve always wanted and that the job of researchers is something that attracts me. To me, biotechnologies nowadays are widespread and the fields of application keep on expanding. However, people know little about it and what is going on in the scientific area, which is a shame and a problem because that makes them more keen on misjudging scientific advances. I took part to the iGEM project because I thought it was a great opportunity to learn. I wanted to be more self-directed and to work in a team project. The Human Practice work was also very interesting and I want to learn more about how to reconcile science and ethics. I was the head of the Human Practice approach. So I set up surveys, interviews and pedagogical events in order to understand the needs of the public, their knowledge and fears about GMOs and to explain them what we plan to do with our project. I learn a lot thanks to the iGEM adventure. I had never work on projects so big in a team of students. So I became a lot more self-directed and got confidence to build new projects. During the project, I met a lot of people (researchers, teachers, non-scientists …). Those meetings have been very inspiring and showed me some fields where I could work later. The iGEM adventure make me want to work on other projects as researcher. For me, biotechnologies are the use of living organisms in order to create something useful for the humanity. Because of my Human Practice responsability, the question of the integration of the biotechnologies in the society is very important for me. I think biotechs allows us to do fantastic things but every scientific advance have to be ethically questioned and clearly explained to the public. 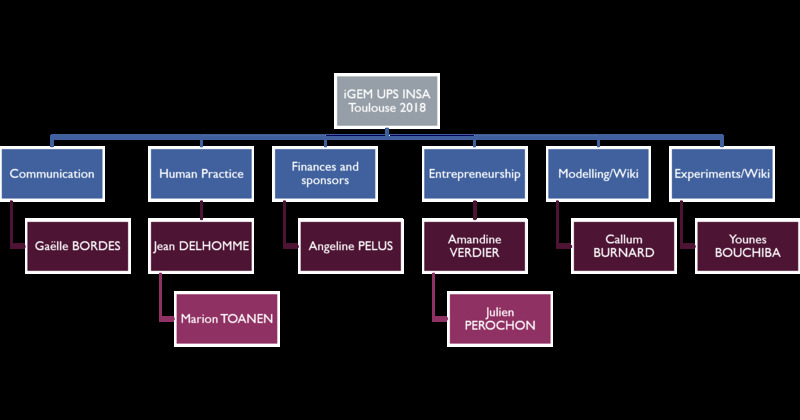 I wanted to join Toulouse iGEM team to have the opportunity for the first time to lead a project from beginning to end. The principle of creating living systems to answer different problems is something which is fascinating for me. During the preparation for the competition, I learned many things from a scientific point of view. In fact, I discovered many tools and synthetic biology techniques. I also learned a lot about starting a business and how to complete a project. This experience allowed me to understand the difficulty of setting up a project and so the difficulty of the engineer work. Nevertheless it confirmed my desire to work in applied research in my future life. I think that biotechnology are essentials for improving the human life quality. Nevertheless, I think we must be vigilant with the excesses. Especially from an environmental point of view, we must be careful not to disseminate modified strains in the wild. 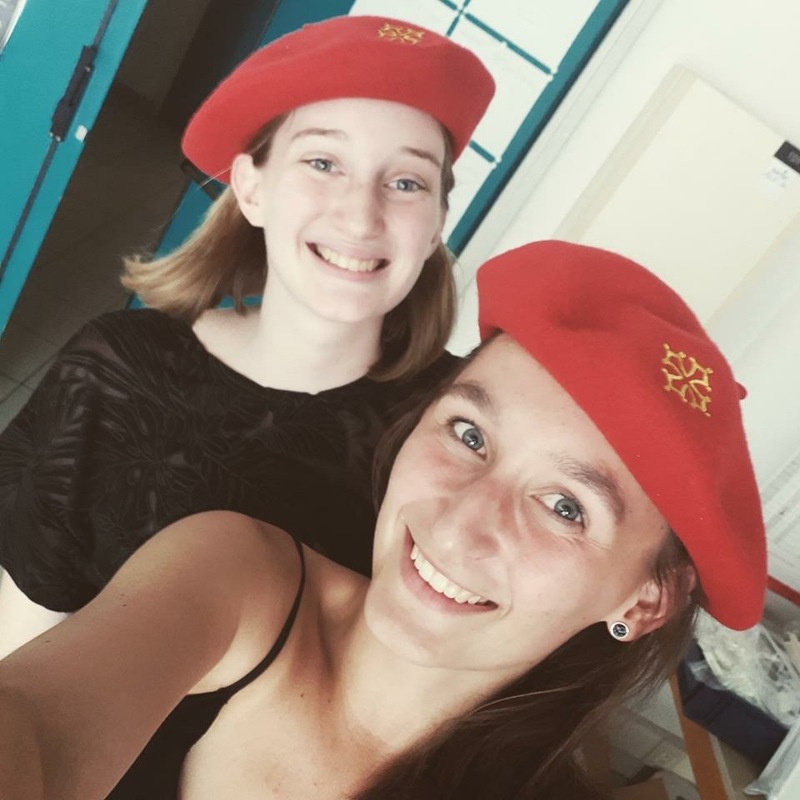 I wanted to join the iGEM team in Toulouse for many reasons, the main one is to participate to a human adventure and the scientific dimension that goes with it. Moreover iGEM led us to work in many disciplines that we are not used to practice such as business or social commitments and I liked this diversity aspect. I was accountable for the Human Practice part of the project with Jean. The parts I loved to set up iwere the interventions in schools and the organization of the different events to which we participated! I learned a lot of things from this project, especially on a scientific level. I was able to learn to develop a scientific project from A to Z within a team while being a student, it's crazy! When I see where we started and the work we have done to get the results today I am proud of our team. Although I really like synthetic biology, this project taught me that the many hours of laboratory were not made for me... But the other entrepreneurial aspects of the topic and the social commitments that we were able to do allowed me to know what scientific ways are more suited for me! The horizons that synthetic biology opens up are simply extraordinary. For me this is only the beginning of this discipline and the advances that we could make in the years to come could change many aspects of our society. I am really proud to be able to participate in its development through this student project. Since i heard about the iGEM competition, it became a goal to me. The opportunity of conceiving and achieving a scientific project is the consecration of my universitary life. It is a huge challenge and it allowed me to challenge my limits and my will of succeeding. I was chosen as the student leader of our team,. I was also accountable for the experimentations and lab organization. As I am studying Bioinformatics, I took part in the wiki creation and overviewed the molecular modeling aspect of our project. My fluency in molecular biology permitted me to take a big part in the molecular design of our project. I first learned how to properly perform a bibliography about a scientific topic. During our brainstorming time at the beginning of our project, I learned how to find, analyse and summarize information. I also learned how in silico design can be transposed in vitro and in vivo . For the first time of my life I was able to concretize an idea in the wet lab, from the conception to the experimentation. As my dream is to become a researcher in system biology, the experience of this scientific project allowed me to test myself in a real situation. The universitary cursus gave me a wide point of view of biology but did not bring me to take part in such a project. The opportunity of designing and realizing a synthetic biology project is a keystone for my life as a scientist. Biotechnologies are a newborn field in the experimental sciences. Sadly, due to controversies, it could have a bad reputation. From my point of view, it is a tool, and as every tools, how you use it will define the impact that it will have on society. I love biotechnologies because they help us to understand biological systems and give us hopes for a better future. It has already revolutionized health by increasing our understanding of diseases and decreasing the cost of drugs, a huge step toward personalized medicine and therefore a better life. I like that it’s beyond just doing research. I like that it goes beyond the lab and tries to bring forth exciting applications to real-world issues and problems. We also get to work with people outside our fields, so broadening our perspectives is always good. I overlook the entire project (vice-head), was in-charge of one of the wet lab teams and head the creative team. Articulation of scientific ideas, or even, ideas in general. Other than that, I think I learned how to deal with different kinds of people too. I guess I am more interested in working in a dynamic environment after working in iGEM. I used to be more interested in just doing research. These days, it’s a lot of CRISPR-Cas9 technology (since it’s pretty popular) ; I think about pharmaceuticals and GMOs in food, and bacteria. I think also because it is a field with massive potential that has not been tapped on to its fullest, I think, too, about the possibilities that biotechnology that offer to us. To expose myself to synthetic biology and international competitions, to be involved in a meaningful project, as well as to gain more experiences. A lot of biology knowledge, experimental skills, social skills, and about my weaknesses. The society can be intimidating sometimes. Biotechnologies allow biology to be applied in real life. I felt that synthetic biology and genetic engineering was very interesting and saw a lot of potential for future development and wanted to be a part of it. I did experimental work with the wetlab team, and was in charge of the finance and sourcing for sponsorships for the project. I also helped with conducting human practice interviews and running outreach events. I learned that the development of new ideas and projects are not easy, and we should always press on in spite of challenges and obstacles to achieve our intended objectives. 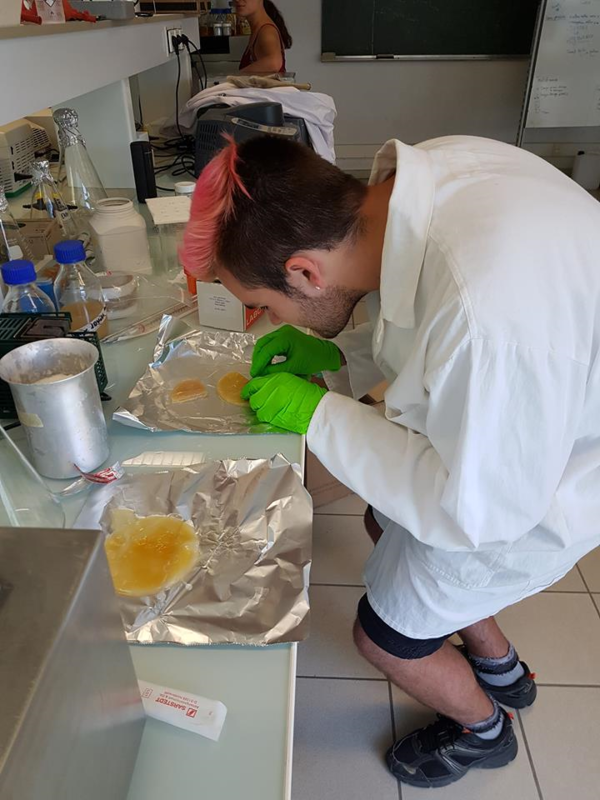 From iGEM I have taken away the experience of having to scour through research papers for ideas and testing these ideas, and coming closer in contact with the research and development world. Lastly, I found out more about synthetic biology, what it is about and what I can do with it in future. This experience has given me exposure about what I can expect from a research and development career and a balanced perspective on what I should pursue in future. Biomedical equipment and technologies that involve microbes. I was interested in joining the team because I wanted to gain the experience to work in a big team on a motivating project with my pairs. I was responsible for the chemical analysis of our project with the HPLC. I was also part of the human practices: I conducted a survey on the ethical, economical and environmental repercussions of our project, I made an interview with a philosophy student and I collaborated with other teams. I learned about working with a big group of students (we were about 15 students in our team) and it taught me that organisation and motivation are the most important ingredients to achieve our goals. It was the first year our team participated to the competition and we learned a lot from our mistakes. Hopefully, our mistakes won’t be repeated next year and we will submit a much better project. I would definitely not make a great manager and writing papers is not my thing… Maybe it is because it was our first year participating to the competition, but I realised scientific research is very much harder than I thought. I studied biotechnologies for three years in college and I was passionate about it. After that, I studied in microbiology to know more about those organisms we can use in biotechnology. To me, it represents a way to change the world as we know it. Of course, biotechnologies could be used to harm people, but it is not how I see it. There are so many things we can do with biotechnologies, it is like all the tools in the world are contained in DNA and now the only limit is our imagination. We truly believe that our project could pave the way to the development of a successful start-up. 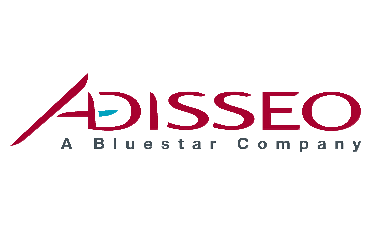 We therefore launched an entrepreneurship approach to design the business model of such a company. We first met biotech startups and technology transfer centers to confront our project to real businesses. Then, in collaboration with a startup incubator, we deepened several aspects of the business. We identified the most critical points of the project and developed a business plan to assess its value, feasibility and durability in terms of marketing, finance and law. These led us to define our future company as centered on advice, conception and innovation to provide manufacturers with functionalised molecules produced by our sub-contractors. It’s time to knock on bank doors! During the Cerberus project, we meet the public on several occasions and we have soon understood the crucial importance of communicating and educating. We therefore participated to scientific and non-scientific events, explained our project in the media and committed ourselves in making children aware of biotechnology possibilities. We also carried on the development of a card game, MicrobioWorld, explaining molecular microbiology in a fun way. However important were these actions at a local scale, it was frustrating to not reach more people. We therefore initiated contacts with the French Department of Education and we helped them to develop a pedagogic wallet distributed to all the “Sciences and Techniques of Laboratory” high schools, at the national-scale. They loved Microbioworld which will be part of the wallet. So, our Education & Public Engagement is not done with iGEM but will be pursued for the year to come or more.